The Newlands Forest walk is a relatively easy short burst of uphill on the right of the river – destination: simply awesome wooden treehouse. Followed by a quick downhill – an essential part of which is straying off the path enough to introduce an element of excitement to an otherwise routine, but beautiful, walk. The route takes roughly 2 hours. It’s a late Saturday afternoon, chosen by the leader of this particular walk because why would you want to walk during the heat of the day during summer? Five o’ clock sounds civilised enough that for once I sign us up, having dismissed former emails of hikes that sounded impossible given the time of day and duration. But will our seven year old manage without whinging his way both there and back? Or, as I later discover, up and down. For the walk, as short as is it, proves rather taxing – to me, at any rate. I’m hardly a seasoned hiker. But I manage. And if I cope, even at a stagger, then it qualifies the route as something of a ‘walk in the park’. Which of course it is, quite literally. 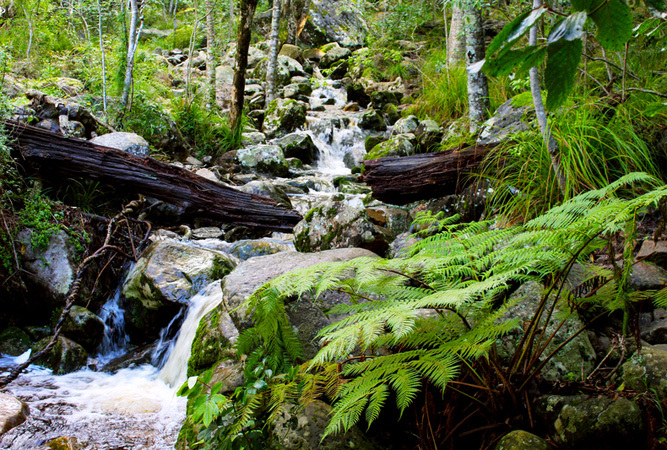 Newlands forest is teeming when we get there. 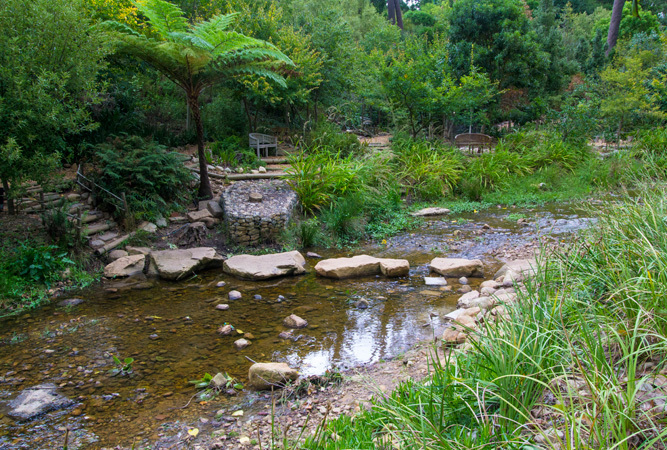 Dog walkers, mountain runners, joggers, mothers, fathers, children – the forest is a popular part of the southern suburbs’ weekend routine. Despite this the man-made forest’s serenity envelopes one almost immediately. Whilst others chatter whilst they amble, you have but to cast your eyes above and around you to the trees, the brilliant blue of the sky overhead, and the gentle feel of earth beneath your feet, the trickle of water when we join the river, to be transported. The route takes us via the Newlands fire base from the car park through the boom, past the helicopters. At the initial t-junction, where most people automatically turn left, we carry on, following a sign that announces the Littlewort Trail. The Littlewort Trail is a well-trodden educational trail, designed to introduce school children to the forest and all it holds. Someone called Pixie Littlewort has been instrumental in having the trail approved, laying it out and protecting it from vandalism (wonder if it’s named after her?) but at the time, we weren’t aware of it (you can pick up a copy of a brochure to guide you through the walk from forest rangers at the Newlands or Kloofnek offices). We meet up with the lower section of the river, when we take a right fork and cross the water over a sturdy pedestrian bridge. The river remains on our left for quite a while. 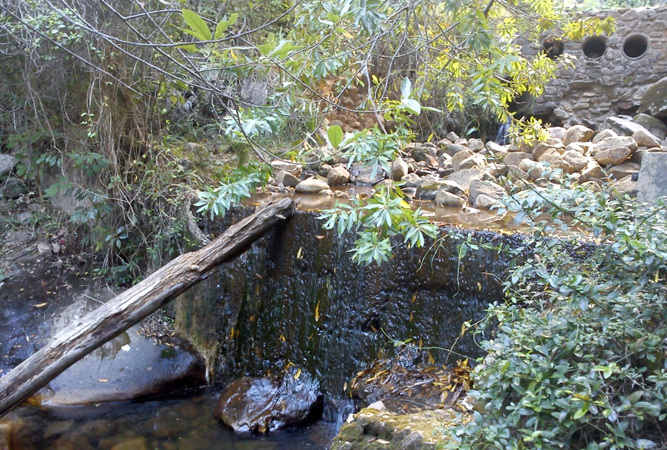 Portions of the stream bed, heavily eroded by the river when its in full stream, reveal exposed roots of trees; some of them have even fallen, left to decompose. We reach the stone bridge in no time. Just below it is the waterfall and plunge pool that children and dogs enjoy, but we don’t take a rest at the benches, continuing instead uphill. And this is where the climb begins in earnest. We’re chatting and looking around us to such a degree that I don’t notice that we’ve parted company with the river, until quite some time later, but the path curves slightly away from the water and begins to head directly upwards towards the contour path. From here it’s a twenty to twenty five minute uphill slog. Up until now the walk has been pleasant, even easy. But after ten minutes of this, with no destination apparent, I’m beginning to wonder at my wisdom. My seven year old has no such qualms. When he’s not leading the group up the mountain in leaps and bounds, he’s hanging from trees. I wonder quietly if downhill will be quite so enthusiastic. The group stops for a breather and before I know it, I’m lost in conversation with someone, enough that when we next glance up, the rest of the group have vanished. For some time we trample up the path, unsure whether or not the group has bundu bashed their way sidewards, or continued up. But we find them and the tree house, eventually, on the contour path. The gentle evening breeze finds us here. We munch on nuts and discuss the weather. I’m sleepy and only too pleased that the uphill has come to an end. From here you can continue up in earnest into Nursery Ravine, but we head back down again along the same path, getting slightly lost somewhere near the bottom. After a hike you’ll be after a shower and a clean bed so book yourself into a Newlands Guest House or find a hotel in Cape Town.